This is a great use of Foursquare. 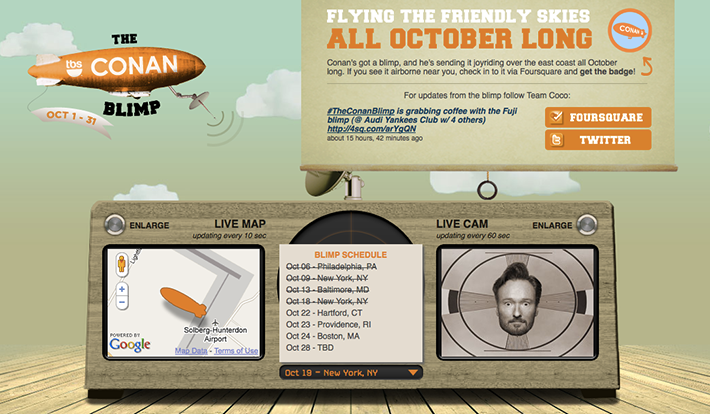 To promote his upcoming show, Conan O'Brien has launched a blimp and is flying it across the east coast of the US. If you spot it, you can check in to it via Foursquare and get the Conan badge. Awesome fun. Congratulations to the winners of the fifth annual Digital Media Advertising Creative Showcase (DMACS) awards! The event took place Thursday October 14 at the Directors Guild of America in Los Angeles. DMACS 2010 showcased the apex of cutting-edge digital media advertising around entertainment releases over the past year. The most innovative and creative digital media talent in the industry competed in six categories to receive recognition for campaigns executed with excellence. Google is the proud sponsor of these awards, and we would like to extend our congratulations to the winners! The event was attended by approximately 150 of the entertainment industry's leading marketing executives, agency heads, creative directors and designers. In addition to the awards ceremony, the showcase explored leading trends in digital marketing. Presentations included a panel discussion, hosted by Kevin Winston of Digital LA, on the topic of "TV Goes Tech: iTV, 3D & apps" and Eyetracking analysis and trends offered up by Lance Porter of New Media Mind. Awards presenters included a range of talent and marketing executives from across the entertainment industry including Adam Carolla (comedian, talk-show host, author), Andrew Marlowe & Terri Miller (Creator/Executive Producer and Producer of ABCâ€™s Castle), Janina Gavankar (The Gates, The L Word), Gordon Ho (Business development consultant for iTV and digital media and former EVP of Global Marketing at Walt Disney Studios Home Entertainment) and Jamie Byrne (Head of Marketing Programs, YouTube). 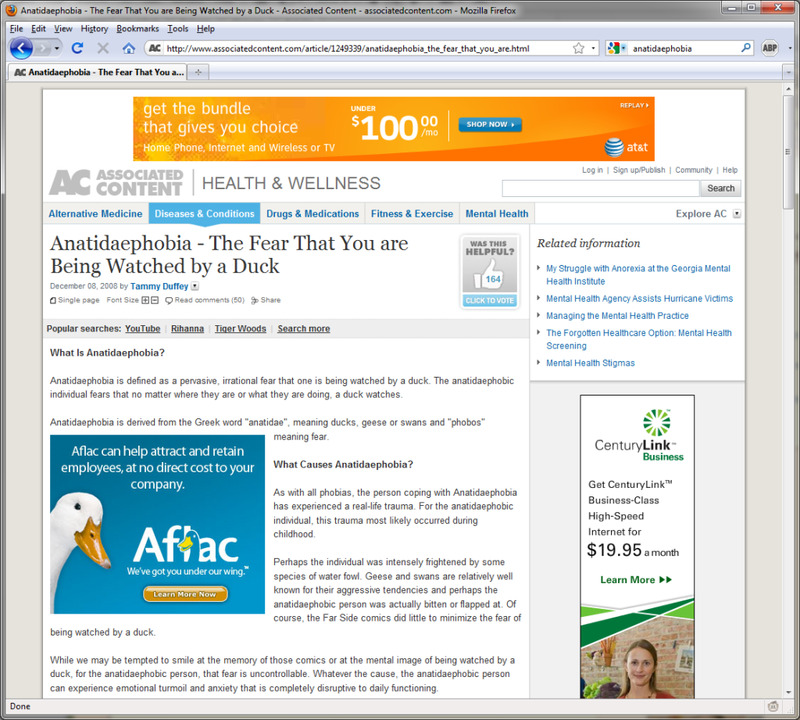 A nice global nitiative for Autism charities. Can you live without social media for 1 day? Organised by Sapient Nitro. Check out the list of charity partners here. From their site "It's a global initiative to raise funds and awareness for autism charities in over 40 countries. People around the world have been challenged to go without Facebook or Twitter, for one day, on 1 November 2010. In the month leading up to Communication Shutdown (1 October to 1 November) people can make a donation to receive a CHAPP (charity app) which signals shutdown across their networks." And here is another nice video (im guessing by Studio Breeder) which contains scary clowns, lesbians and pirates but sadly not scary lesbian pirate clowns.